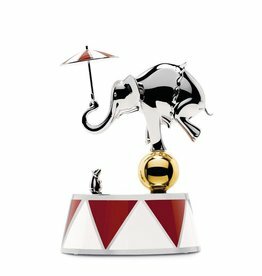 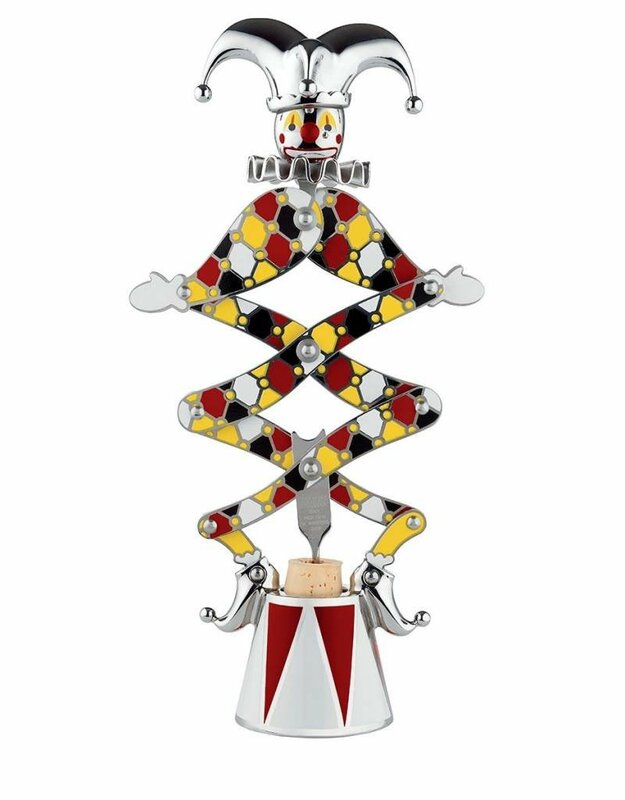 Marcel Wanders gives this corkscrew the form of a lively, jumping jester bedecked in a multicoloured diamond costume. 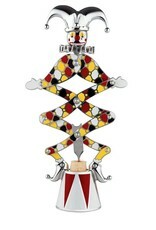 “The Jester” appears atop one of those platforms that circus artists use to perform their acts, as they prepare to dazzle with a leap or a pirouette. 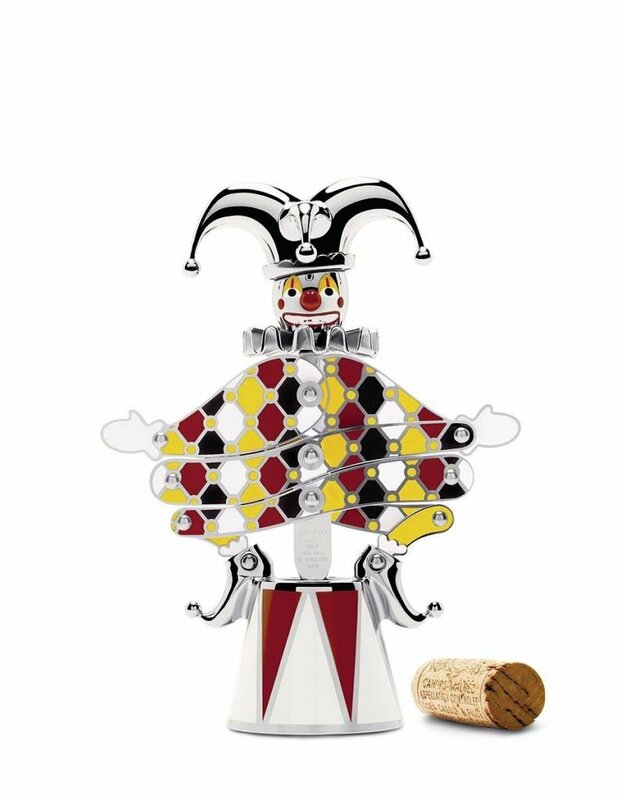 The designer cleverly conceals the functional parts of the corkscrew within the design of the character. 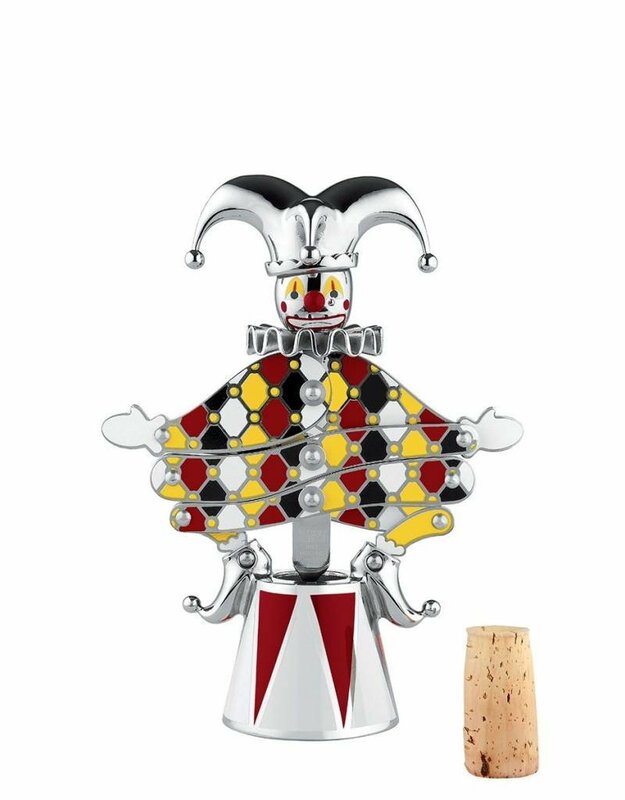 The element resembling a circus platform conceals the worm and is the part positioned on the neck of the bottle, while the jester's pointed hat forms a practical grip that facilitates removal of the cork. 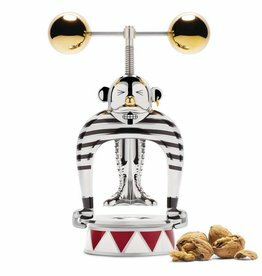 Corkscrew polished 18/10 stainless steel. 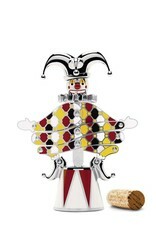 Limited edition numbered from 0 to 999 and 9 artist's proofs. 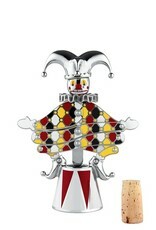 Balances atop a music box, rotating on a ball to avoid a small, scary mouse.